Notes: Alistair and I made the best of the sunny weather today by taking a trip to Colchester and wandering about for some pictures. 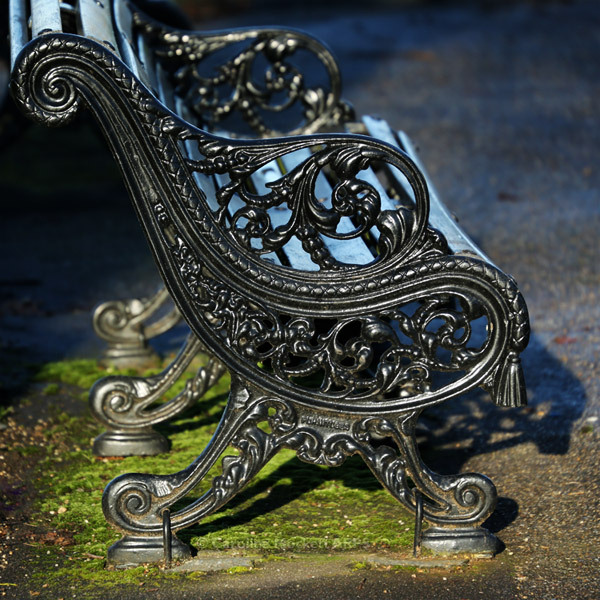 This ornate bench was in Castle Park. I loved the curly details on the sides.